BT's St Paul's HQ is set to close. BT today announced plans to cut 13,000 jobs over the next three years – 13% of its global workforce – and substantially reduce its management presence in London. Two-thirds of the jobs cull will fall in the UK (about 9,000 jobs), with the remainder coming from the 18,000 staff employed by the telecoms giant abroad. The UK’s largest telecoms company, which made 4,000 job cuts a year ago, said middle management and back-office roles would face the largest cull. However, it also announced that 6,500 people would be recruited into engineering and customer service roles as part of a plan to accelerate the roll-out of fibre broadband and eliminate so-called “not-spots” in urban areas. More than half of these new jobs had already been announced by Openreach, BT’s broadband infrastructure standalone subsidiary. As part of the plan, BT will move out of its central London St Paul’s headquarters, a site it has occupied since the late 19th century when it was founded as the General Post Office. 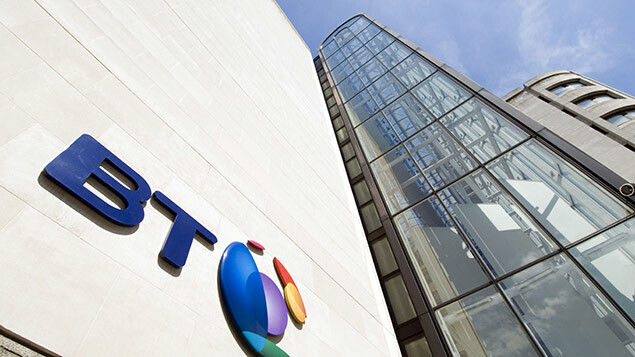 About 80% of BT’s staff are currently based in about 50 offices across the UK. This, according to chief executive Gavin Patterson, would be cut to 30 offices. The mixed news – larger than expected job losses coupled with recruitment of engineers – brought contrasting responses from two of the major unions covering BT staff. Prospect, which has many members performing management and back office roles, registered its dismay at the news. National secretary Philippa Childs said: “The scale of these job cuts is higher than had previously been speculated on and will come as a devastating blow to managers and professionals represented by Prospect. Childs emphasised that BT needed to take into account the impact of increased workloads and stress to staff caused by the plan and that Prospect would work to minimise the cuts and try to ensure they came from voluntary redundancies. In March, BT ended its final salary pension scheme and announced details of a 13-year plan to reduce its pension deficit, which stands at £11.3bn. This will entail payments of £2.1bn over three years with a further £2bn to be raised from a bond issue. To replace the scheme 20,000 staff are to be moved into a more predictable defined contribution scheme. BT will also set up a hybrid scheme that it has said will combine the benefits of defined benefit and defined contribution pensions for lower-paid workers. The final salary scheme, closed to new members in 2001, had been the UK’s largest private sector pension with a total of more than 300,000 members including retirees and ex-employees. Andy Kerr, CWU deputy general secretary telecoms & financial services, described the job losses as disappointing but said he welcomed BT’s plans to invest and grow in the frontline areas where CWU members were primarily employed. BT’s job cuts come in the wake of continued, if slightly reduced, outlay by the company on Premier League football broadcast rights (£295m per season from 2019 down from £320m) and a £530m bill involved in clearing up an accounting scandal in Italy. It also bought mobile phone network EE for £12.5bn in 2016. It is thought by financial analysts that the cuts are primarily a response to pressure from investors to increase dividends because the company’s stock performance has been poor in recent years. Very sad to see such a wonderful company with fantastic staff and infrastructure reduced to ruins by not being run by engineers. The exchanges and cables are falling apart and it’s getting worse and worse every week.